The Neal Group, LLC, a Milwaukee CPA firm we work with professionals in the healthcare industry to provide an array of accounting, tax and financial advisory services. Because we are experienced with the common issues and challenges doctors, dentists, veterinarians and other healthcare providers deal with on a day-to-day basis, we are able to quickly identify financial or operational issues and suggest changes that will make your practice more profitable. In addition, we provide a wide variety of wealth management services including risk management, succession planning, estate planning and retirement planning services for doctors, dentists and other healthcare professionals. Learn more about our healthcare accounting services. 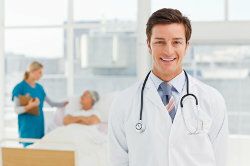 Send us an e-mail or call us today to discuss your healthcare accounting needs with an experienced Milwaukee CPA firm.